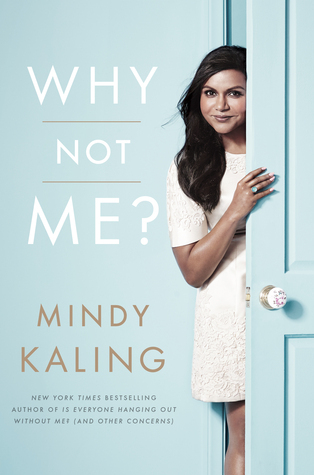 I recently listened to both of Mindy Kaling’s books, which was a fun way to get back into audiobooks, but I’m still not entirely sure how I feel about these books after experiencing them back to back. Synopsis: This book is about the Mindy’s early life, growing up and finding her way in the world. The stories she shares about her interactions with family and friends are hilarious and endearing. She was lucky enough to be an outgoing and charismatic kid, which helped launch her into her comedy career and really drove her to excel in such a difficult field. It’s hilarious and endearing to listen to her talk about her family life and the struggles she’s faced. Synopsis: Mindy really gets into her life in Hollywood and how things have changed as she moved her way up through the ranks of writers and actors. She has some incredible and amusing moments with many of the big names we all know from comedy, as well as showing her ability to remain distinctly ‘Mindy’ in all the chaos. I’m still torn about whether I would have enjoyed these books more if I had read them in the traditional sense. While I found Mindy’s voice easy to listen to and did have a lot of laughs along the way, hearing what someone looked like as a child isn’t exactly the same as seeing a picture. There were definitely a few moments where I felt like I was missing out on something. 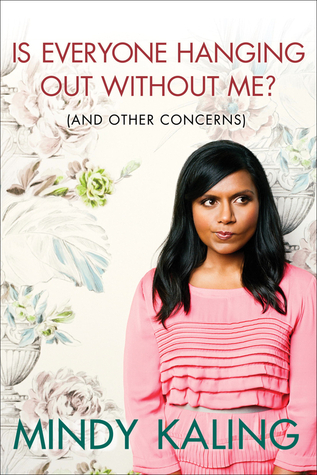 Mindy’s first book is by far the better one, mainly because it doesn’t focus so much on her life after becoming big. I liked the young Mindy, with her big dreams and awkward awesome nerdiness. By the time we got to her second book it started to feel more like a list of all the famous people she knows. Listening to her say “when I was working on The Office” every other sentence was starting to give me an eye twitch. My favourite part was in her first book when she wrote about how she discovered her love of comedy. Learning that hanging with the cool kids doesn’t always mean that you are hanging with the people who share the same interests as you was a great lesson. I thought her friend Mavis sounded awesome and weird in all the right ways, and was so happy for Mindy when she realized how important it was to be true to herself. My least favourite part was in the second book when she wrote a long string of fake emails from her imagined “regular” life. Perhaps reading them myself in text form wouldn’t have been so annoying, but listening to her read her fake email signatures repeatedly was awful. I completely blanked out at that point and just hoped that it would eventually get better in future chapters. Overall, I’d have to say that I don’t think I’ll be reading/listening to another book by Mindy unless she goes back to writing out her pre-fame life. I would definitely recommend just getting the trade version of these and skipping the audio. I honestly think it might have been the fact that I was listening to them that made them less enjoyable.